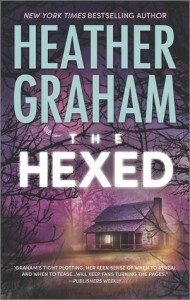 Review: The Hexed by Heather Graham + Giveaway – Escape Reality, Read Fiction! I was a bit worried starting this. It’s the 13th (unlucky number!) book in Graham’s Krewe of Hunters series. I’ve always meant to read the series, but never got around to book 1, Phantom Evil. This is a mistake that must be rectified! The Hexed is paranormal romantic suspense. In other words, both a paranormal romance and romantic suspense. The suspense plot is a chilling search to find a serial killer, but the cops chasing the murderer all have paranormal powers. They don’t just see dead people, they talk to them. It’s as if the FBI created an entire unit of ghost hunters. Which is a fascinating set up. Even cooler, in the chilly, thrilly aspect, is that the serial killer is operating in Salem Massachusetts, and it looks like he or she is either a real witch or trying to throw suspicion on the local Wiccan community. The story starts with a scene out of the movie Stand By Me, a concept that works even better considering that Stand By Me was based on Stephen King’s The Body. Five friends discover the body of the sixth member of their clique dead in the woods. It’s a horrifying discovery that changes the lives of all the surviving high school students. But it’s more than merely coming across the body by accident. Craig “Rocky” Rockwell discovers his friend Melissa because he heard her calling out to him, long after she was dead. And her body was positioned ritualistically with a pentacle hanging from her neck. The discovery changed his life. Not just that his friend was dead, but that he heard her lead him to her body. Rocky set his sights on becoming a cop, and then an FBI agent. He was in the perfect position to return to Salem thirteen years later when more bodies starting turning up; murders that exactly matched the grisly sight he found as a teenager. The difference is that this time, Rocky returns to his old hometown as part of the FBI’s Krewe of Hunters, an elite unit with special normal and paranormal talents. The other key change is that he meets Devin Lyle just after she has discovered body #3. And that Devin also heard the dead tell her where to locate that body. Devin is the great-niece of the “Witch of the Woods” and she has been pushed into the paranormal world of the Krewe by the discovery. Or by her late great-aunt, who manifests in the house to watch over her niece. As the bodies continue to pile up, Devin and the Krewe have to dig deep to figure out the motive for killing one young woman after another, a motive that is rooted not in Melissa’s death 13 years ago, but all the way back in the 1690s, in the infamous Salem witch trials. The investigation becomes a race against time, as the list of possible suspects narrows, but it becomes clear that the killer is planning to end his spree with the death of Devin Lyle. Rocky will do anything to prevent Devin turning into the killer’s final victim. But it’s hard to prevent a murder when no one can figure out who the 21st century killer might be. And in the end, all their assumptions and investigations point to the wrong perpetrator. Escape Rating A-: The Hexed is tremendously fun and entertaining. 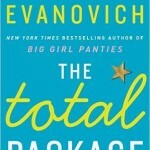 The romantic suspense element seems to be primary, and it’s such a convoluted mystery! We follow the investigations every step of the way, as Rocky and Devin are forced to investigate all their friends down to their genealogy in order to get close to finding the killer. Rocky was in a very difficult position. He’s new to the FBI team, and he has an emotional interest in the crime. At the same time, this is a long-postponed homecoming for him, and his old friends all want to connect with him. Meanwhile, he has to investigate them, because they are all potential suspects. Devin was a terrific addition to the story. She’s a children’s book author, and has made a career out of telling stories using her “witchy” great aunt as the inspiration for her heroine. “Auntie Min” saves the day in every book, using her witchcraft for good. Devin is thrilled to death when her Aunt’s ghost appears, she loves the older woman and misses her terribly. Although she’s a bit put out when her Aunt’s unscheduled appearances and disappearances put a crimp in her budding romance with Rocky. Ghostly chaperons are even more libido dampening than the regular kind. They are always a bit worried that the ghost is watching them, and she might be. Devin is also forced to stretch herself in this story. She’s a successful author, but she feels compelled to help find the killer. Her research skills are respected and used by the Krewe to find the killer’s motives and help to determine who the potential victims are. At the same time, she is quite reasonably afraid of the events surrounding her, and while she’s mostly sensible about it, the attacks on her do move her relationship with Rocky into high gear. Even though the research and investigation were leading up to the murderer, I was still as surprised as Devin when the perpetrator was finally revealed. 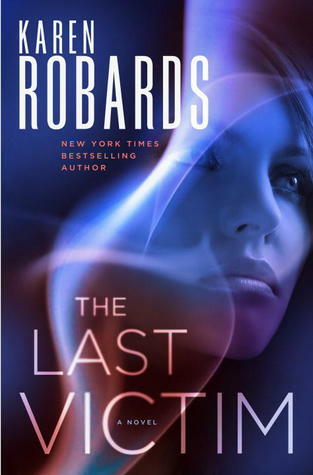 If you like a slightly spooky undertone to your romantic suspense (and I do) this was oodles of fun. 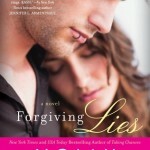 I’m looking forward to catching up with the series, and also to the next book, The Betrayed. I wonder where the Krewe is headed next? Heather is generously giving away the winner’s choice of The Cursed, The Hexed or The Betrayed. All I reall know is that The Sanderson Sisters came back on Hallowe’en night when a virgin lit the black flame candle! All I really know is that The Sanderson Sisters came back on Hallowe’en night when a virgin lit the black flame candle! I really don’t know alot! I just remember that if whether guilty or innocent you were dead. not much… it’s been so long since we studied that in school 🙂 Thanks for sharin! The subject is very fascinating and known but I haven’t read too much about it. I do know that you certainly didn’t want to be accused of being a witch at the time! And it only stopped when they accused the wife of someone respected in the community. All I remember is that children were the ones blaming people of being witches. 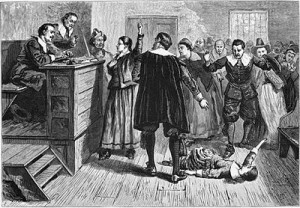 I’ve read several books about the Salem witch trials, including those very specific to the trials themselves. Sadly, I don’t remember much about them. Just that they accused a bunch of girls of witchcraft on the flimsiest excuses and they were killed. I remember learning that people would report others that they didn’t like or agree with. SOMETIMES PEOPLE WERE ACCUSED WHO HAD NOT DONE ANYTHING WRONG OR WERE CONSIDERED DIFFERENT. 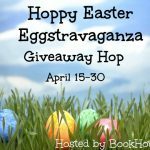 GOOD LUCK WITH YOUR BOOK AND THANKS FOR THE GIVEAWAY! I remember something about how it started with the girls accusing everybody, just all willy nilly and such. Didn’t matter who you were. The townsfolk were just accepting of the situation, what else could they do? They might have been accused, too. No one was ever found as being a with. I remember that they accused alot of people who were innocent. I’ve been to the witch museum in Salem. I know that it was a terrible time in the US because of people’s ignorance of things they just didn’t understand. Not much– it was a little before my time. *Grin* I kid, I kid. I’ve always been fascinated by the subject, and the way things were handled back then. It’s horrible, but intriguing. 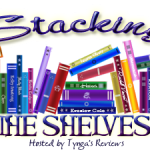 Pingback: Stacking the Shelves (100) | Escape Reality, Read Fiction! I don’t really know anything about the Salem Witch Trails. The books sound wonderful. Thanks for having the giveaway. I know I have of heard of it, but the details have left my mind!! I remember learning about it in school!! I hope you enjoy the rest of the series as well! I don’t remember very much. It was only mentioned in my history classes–never actually discussed. I don’t remember a lot. I think we really didn’t discuss it too much in school. Pingback: Review: Phantom Evil by Heather Graham | Escape Reality, Read Fiction!